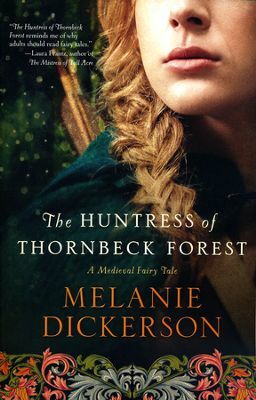 The Huntress of Thornbeck Forest was another delightful tale from Melanie Dickerson. I absolutely loved the book. Just as her fairy tale series before, this one did not disappoint. I appreciated the Ms. Dickerson kept the elements of fairy tales in the story without letting them take over the book. It was an exciting read, and I enjoyed every minute of it. The characters were elegant and interesting. Overall, it was a fantastic read and I recommend it for anyone who likes romance, medieval romance, or just loves good books!